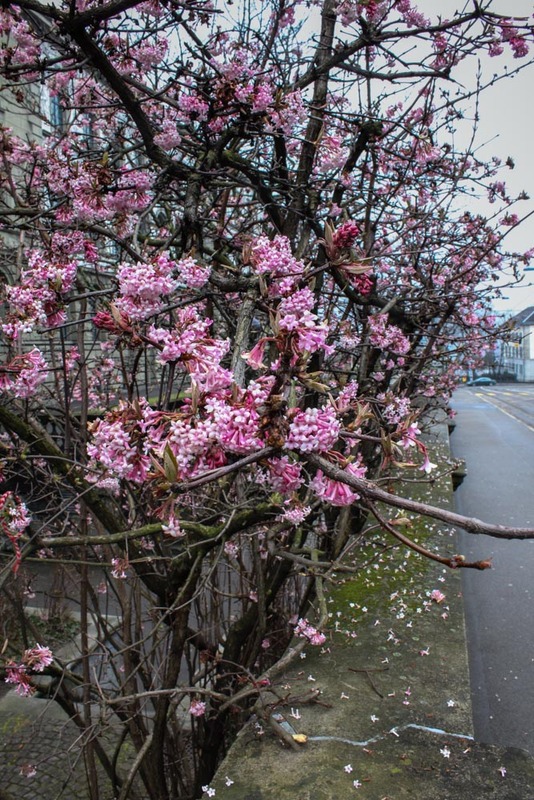 Easter Weekend 2013, Part Three: Zurich, Switzerland – Sunshine. Whimsy. Tacos. 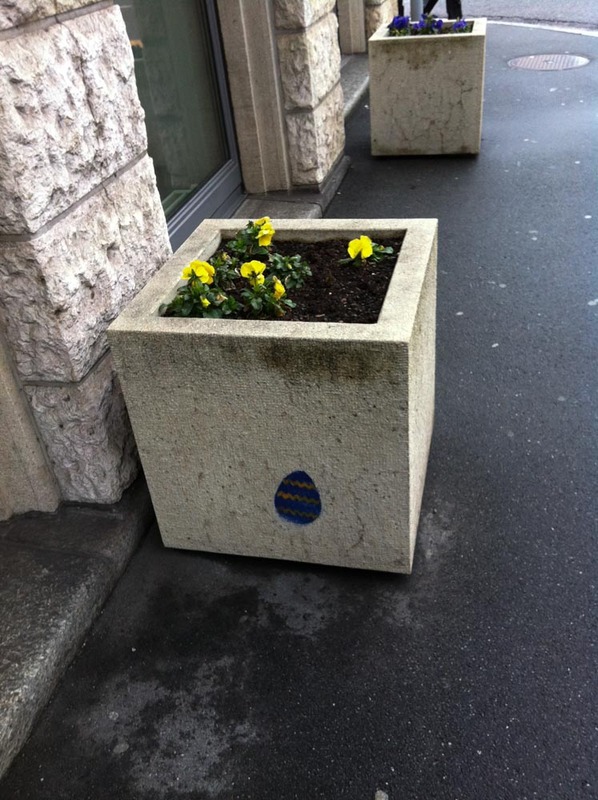 The Friday and Monday surrounding Easter weekend this year were public holidays in Bavaria. Since I had a long weekend, I decided to do a whirlwind tour through Strasbourg France, Freiburg Germany, Zurich Switzerland, and the Rhine Falls near the Swiss-German border. I’m going to write about them one at a time, though. Next up is Zurich! Sunday morning, I grabbed an early train from Freiburg into Zurich. If you arrive by train, you will find yourself in one of the busiest train stations in the world, with nearly three thousand trains a day. 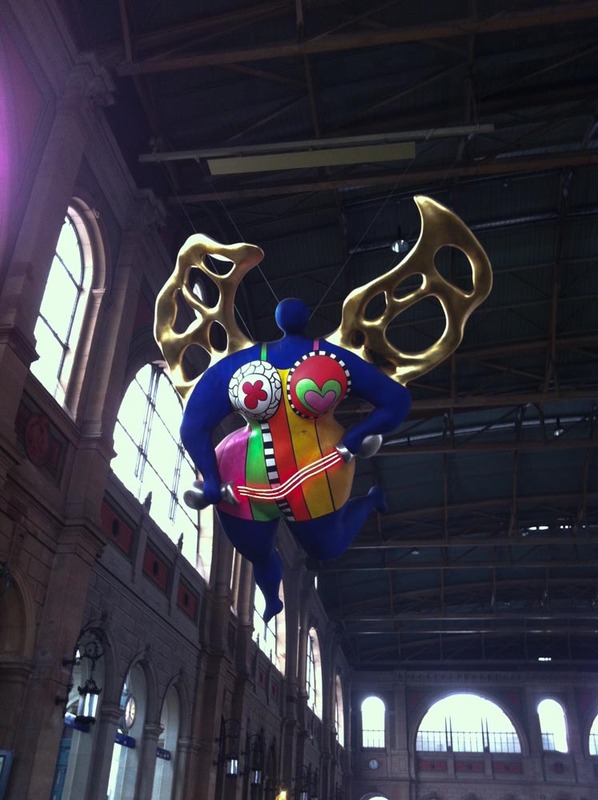 Hanging overhead in the main hall, you’ll see L’Ange Protecteur by French artist and sculptor Niki de Saint Phalle, a French sculptor. I hadn’t heard of her sculptures, called Nanas, until I saw this one. There’s a bunch more in in various places around Europe. 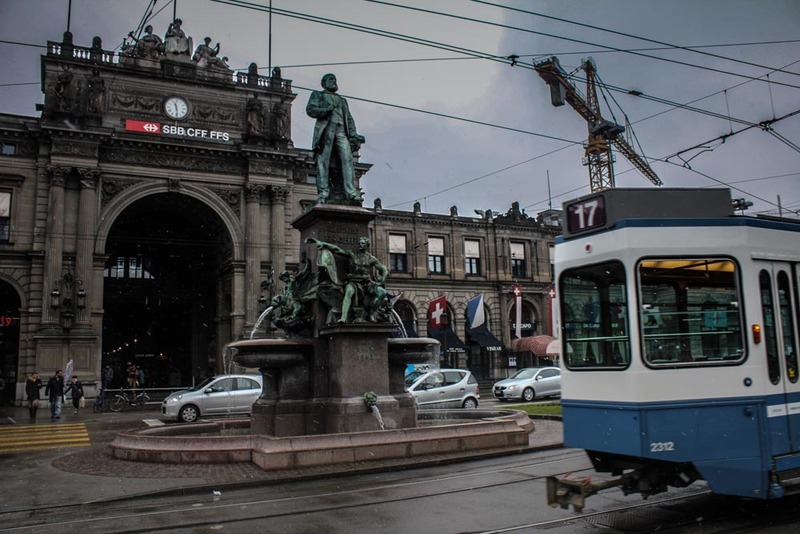 In front of the train station, there is easy access to the street tram system, and from there you can get almost anywhere else in the city. The street directly opposite, Bahnhofstrasse, is a very busy and fairly well known shopping street. I spent some time in the evening walking down this street trying to find the source of a tantalizingly delicious smelling food smell- I never figured out where it was coming from. From there, it was a very short walk to most of what I wanted to see. First I walked up the hill to Lindenhof. This is a hill in the middle of the city, with a really spectacular view. Apparently it used to be a Roman fort, but honestly, this is Europe- what wasn’t a part of an old Roman fort? You can see Grossmünster, the church with the two dome-shaped spires on the right side there. That’s the next place I walked. Grossmünster was a very impressive structure. I didn’t know until after I was gone that you can actually climb the tower. Blast! I missed a chance to go into a tall thing! I’m sure I’ll be back there in the near future, though. 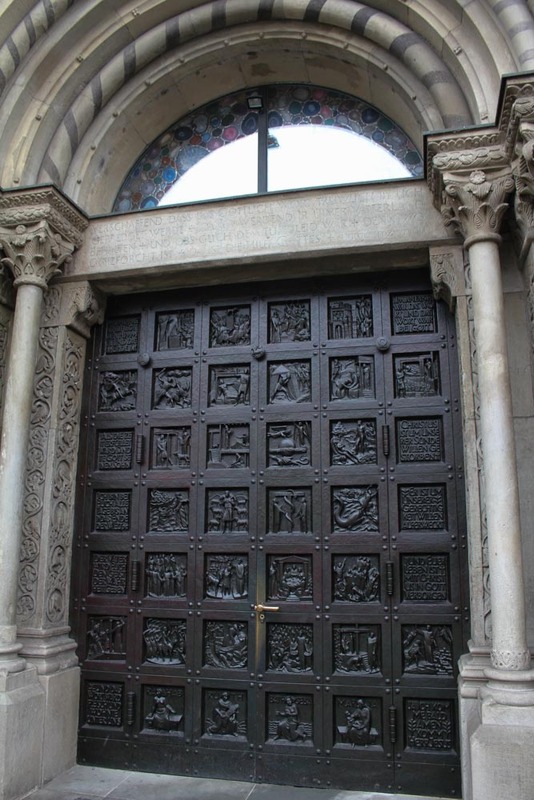 The door of Grossmünster is ornate and fascinating. 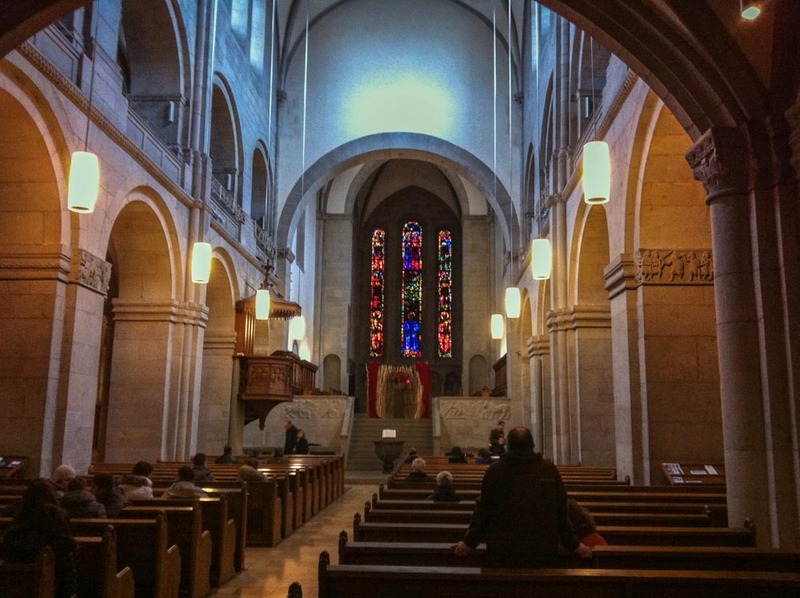 Grossmünster is quite pretty inside, also. 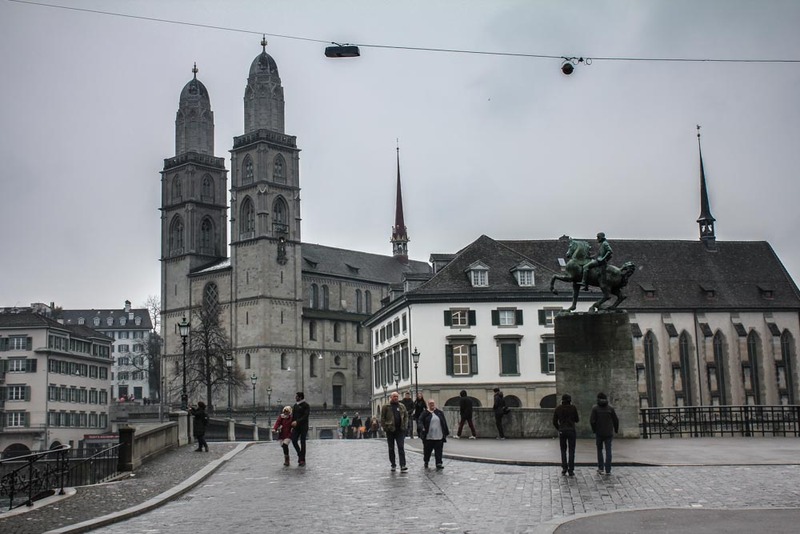 Across the river from Grossmünster is a courtyard area that connects shopping streets (and the climb to Lindenhof) to Fraumünster. There are a lot of clocks in Zurich. I wonder how often one of them is wrong. 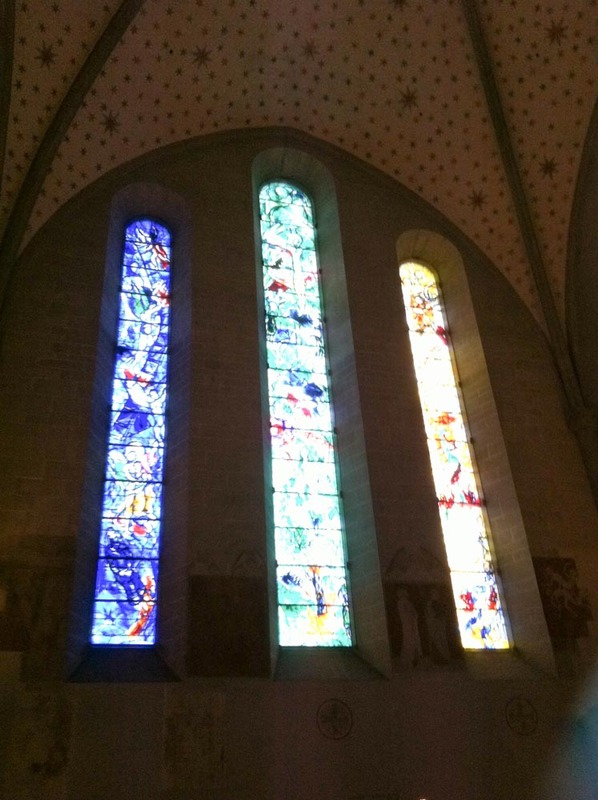 Inside Fraumünster there are four glass windows which were painted by Marc Chagall. You’re not supposed to take pictures of them from inside the church, so pretend you didn’t see this. After a busy day of seeing churches and not climbing them, I stopped for lunch in a tasty place called Cafe Odeon, which has apparently been open for more than 100 years. 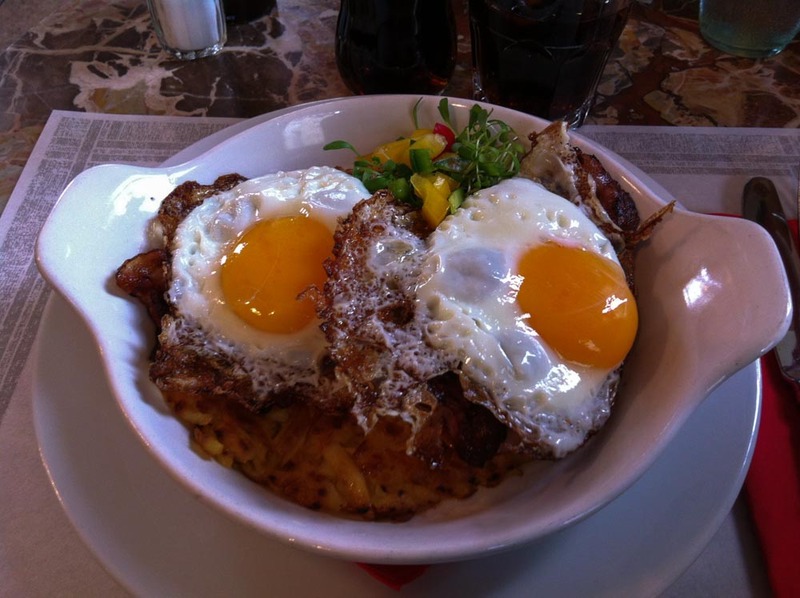 I had the Rösti, which is a common food in Switzerland, a fried potato dish which is somewhat similar to hash browns. In this case, I had it with fried eggs and a some vegetables. It was quite delicious. Easter graffiti! I saw this while I was walking to where the Jacob Coffee Museum is. Unfortunately, the Coffee Museum is closed for renovation. The information I read said that it would be open in March of 2013, but it was most definitely not finished with renovations. Oops! While I was walking to yet another closed attraction (stupid holiday weekend), I saw this lovely flowering tree. Someone tricked this plant into thinking it was already springtime. 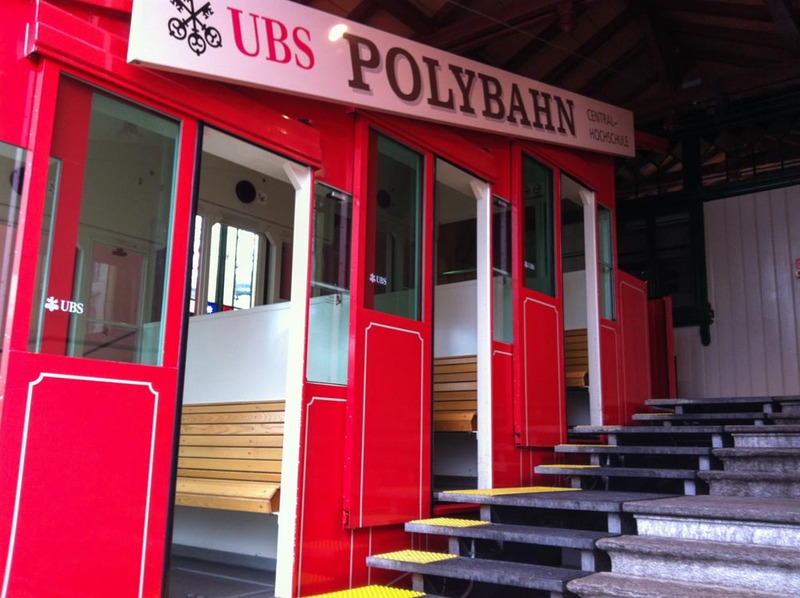 The aforementioned closed attraction- This is the Polybahn, a 19th century funicular that goes steeply up and down one of the hills near the center. I like funiculars, naturally, but this one wasn’t running. Stupid holiday weekend. That was the bulk of my sightseeing for the day. I went back to the hotel room for a little while to shake off a headache in the late afternoon, and didn’t go out again except for dinner, a little more wandering, and some dessert. 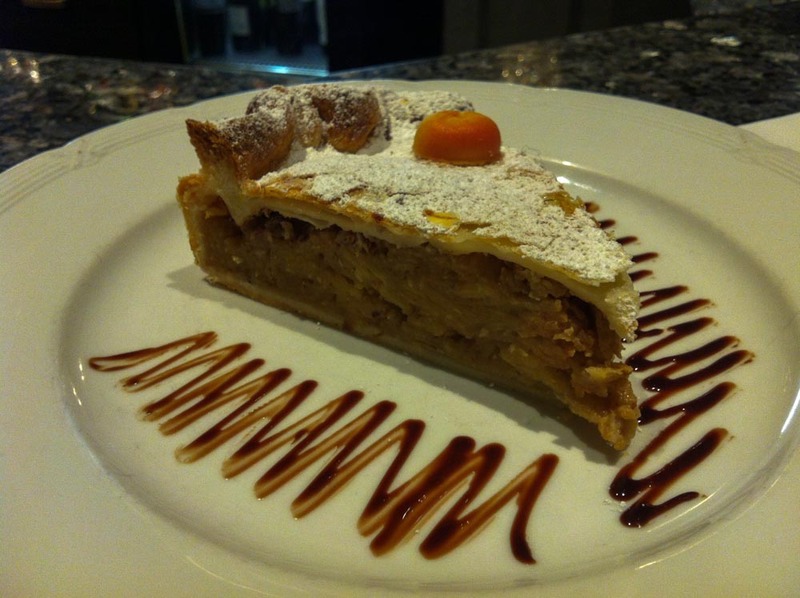 Dessert was this amazing piece of apple pie at Hotel Schweizerhof’s Café Gourmet, a nifty little place for a snack across the street from the Bahnhof. 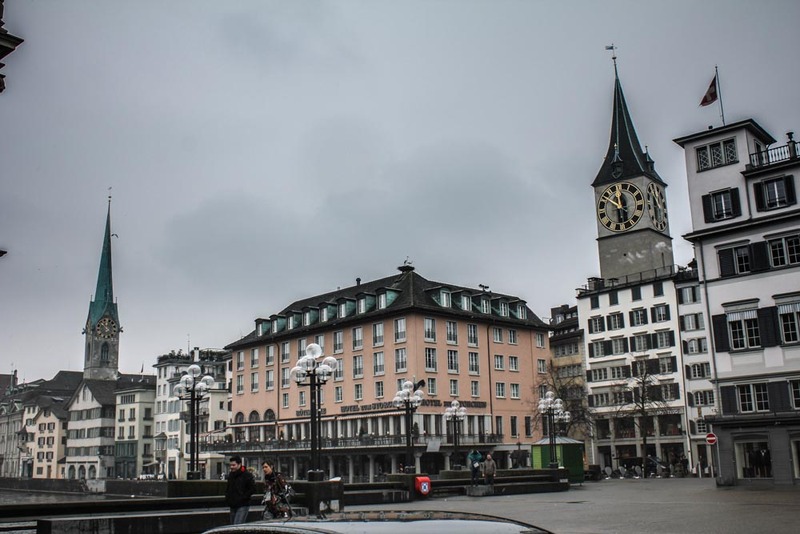 Have you been to Zurich? I have not been to Zurich, but I have seen many Nikki sculptures as many of her pieces were in display in St. Louis, MO and Chicago, IL in botanical gardens. If you have the chance to see more of her work I recommend it! I haven’t made it to Zurich yet, even though it’s only 3 hours away. Looks nice! “Apparently it used to be a Roman fort, but honestly, this is Europe- what wasn’t a part of an old Roman fort?” Haha, so true!! I’ve only been to the train station – but had a bit of a layover so walked over to the lake which was gorgeous, but that’s about all I saw! I’ve been to Switzerland and Zurich several times. Zurich is fascinating but I like Bern, Luzern and Lausanne better. All these Swiss cities are really worth a visit. Well now that I know that there’s a funicular there I’m definitely going. I’ve only been on a bus in between France and the Geneva airport, so Switzerland is on my hit list for sure. This funicular is a very short run- it’s more a historical curiosity than a useful transport. The tram system actually covers the same distance up the hill in about five minutes. I still wish it had been running though. I like funiculars. I’ve been to Zürich three times! This was while my brother-in-law was still living there (he and his family moved back to Germany last year) and we combined that family visit with hiking and skiing in the mountains nearby. 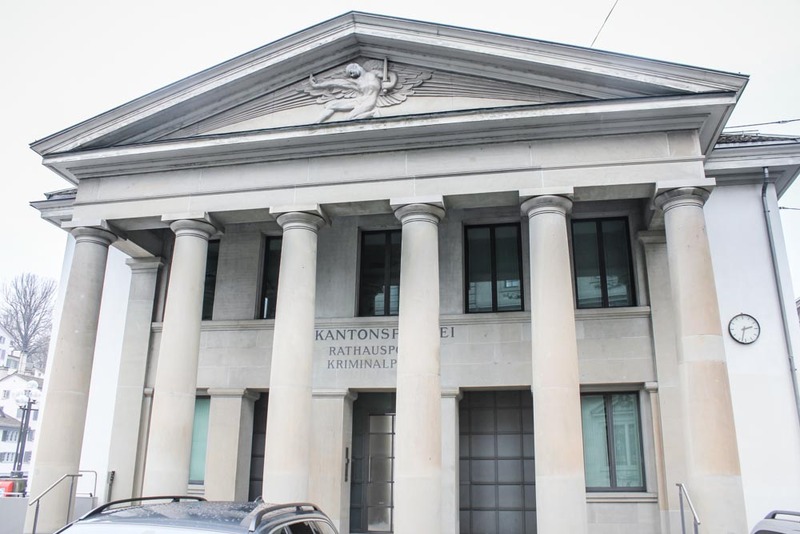 My favorite place in Zürich is the Brockenhaus – it’s a pretty big and awesome thrift store! Got to enjoy a visit to Zurich last year visiting friends. Nice view from Fraumunster. The funicular is great to run up the hill to the university. Apparently most of the traffic on it is students coming to and fro. Great views of the city from up there as well. One of my favorite things about Zurich (and most if not all Swiss cities) is that the water coming out of the fountains is clean and safe to drink (from everything I have been told). I can testify it is good and cold. Cary a water bottle and fill up whenever you need to.